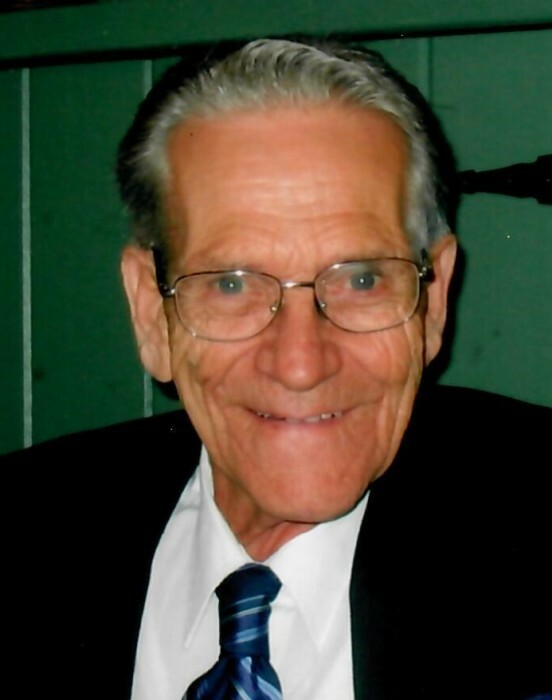 Leominster - Edgar J. Roy, 92, of Leominster, died January 24, 2019, in The Highlands, Fitchburg, after a brief stay there. He was born July 20, 1926, in Moncton, NB, Canada, son of the late Albin and Gertrude (Belliveau) Roy. He worked as a foreman for Seth Thomas General Times for 38 years, retiring from there in 1987. Still working at his craft he opened Roy & Son Clock Shop, which was in Leominster, for many years. He also worked as a bus driver for The Mart Bus Company. Edgar was a former Scoutmaster for Troop 14 of St. Cecilia's Parish, a former volunteer worker for St. Cecilia's Bingo and their summer and winter fairs. He was an alter server and a Eucharist minister, delivering communion to many home bound and nursing home residents, for many years. He was a 3rd order Carmilight member of St. Vincent de Paul, a member of St. Cecilia's Prayer Group, and former member of the Parish Council Finance Committee. Edgar is survived by his children; Phyllis M. Richard and her husband Gerard of Leominster, Norman G. Roy and his wife Cheryl of Leominster and Gary A. Roy and his wife June of Fitchburg, along with grandchildren; Christine Richard, Paula Matson, Brian Richard, Melissa J. Roy, and Jamie Roy. He also leaves great grandchildren; Kali Richard, Brett Richard, Eric Matson, Evan Matson, Hunter Matson, Dakota Matson, and Victoria Roy, along with a brother Denis Roy of Florida. He was predeceased by his wife of 69 years; Geneva (LeBlanc) Roy in 2017, brothers; Zoel Roy, Ovila Roy and Ernest Roy and sisters Rita LeBlanc and Edna LeBlanc. Edgar's funeral will be held Monday, January 28th, 2019, from Wright-Roy Funeral Home, Inc., 109 West St., Leominster, with A Mass of Christian Burial in St. Cecilia's Church, 170 Mechanic Street, Leominster, at 11:00 a.m. Burial will follow in St. Cecilia's Cemetery. Calling hours will be held Sunday, January 27th, from 2:00 - 4:00 p.m. in the funeral home.